The ecoPayz MasterCard, called “ecoCard” is a prepaid MasterCard that you can use with your ecoPayz account to load up and spend your money wherever MasterCard® is accepted. ecoPayz also offers a virtual MasterCard which is a secure way to handle your online payments. The card is free of any shipping costs and has a small fee for ATM Cash usage. Find all information about both cards on the following page and make sure to apply to our free ecoPayz Bonus Program to enjoy the highest MasterCard limits. 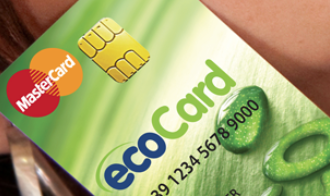 The ecoPayz MasterCard is a plastic card that can be used on- and off-line wherever MasterCard is accepted. You also can use it for cash withdrawals at any supported MasterCard ATM worldwide. You do not have any kind of credit limit and you can only spend the amount of money you have loaded on your account. All customers with a verified ecoPayz account can order a free ecoCard for their account. There are no monthly or yearly fees or other ongoing costs for your card. For Withdrawing money at an ATM there is a 2% (minimum charge 1.50 EUR) fee as long as the currencies match. For withdrawing in a different currency there is an additional currency conversion fee of 2.99%. Paying in shops (POS – point of sale) is completely free as long as the currencies match. You can order up to 3 free ecoPayz MasterCard in EUR, GBP and USD. It is recommended to order one ecoCard for every currency you use in order to avoid currency conversion fees. 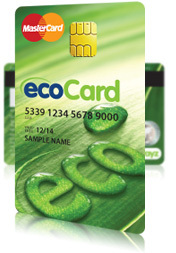 Please check the ecoPayz website for more information about the ecoCard. All eWallet-Optimizer clients get upgraded to gold VIP automatically and enjoy the highest ATM limits of 1,500 EUR/day. Check the following table for more information about the limits or visit the ecoPayz ecoCard Service site. Sign up with eWO to get upgraded to Gold VIP and join our special eWO ecoPayz cashback program. Log in to your ecoPayz account. Select “ecoCard” from the menu on the left. Click the “Find out more and apply” button. Check and confirm your details. 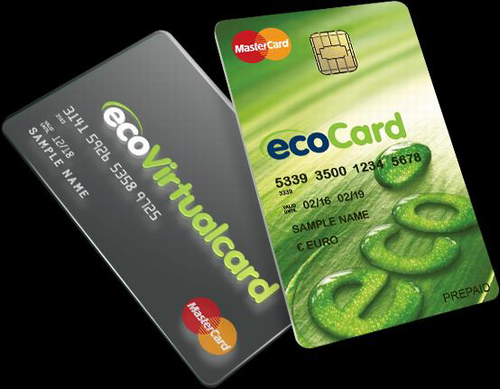 The ecoVirtualcard is a one-use payment card which is directly connected with your ecoAccount. You do not get a physical card and therefore you can use your ecoVirtualcard for online- and phone payments only. Once used, the ecoVirtualcard expires, so there is no risk of it being lost or stolen, which makes the virtualcard a safe and easy payment option. To activate a ecoVirtualcard there is a fee of 1.80 EUR for each card. Our clients can order up to 4 cards each day and up to 40 cards each month. Except for a currency conversion fee, if your currencies does not match, there is no fee or any other costs for using the ecoVirtualcard. Select “ecoVirtualcard” from the menu on the left. Click the “Get your card” button. Since the beginning of February 2017 ecoPayz does not offer MasterCards for residents of NON-SEPA countries any longer. Besides the fact that those clients are not able to receive a new ecoPayz MasterCard or Virtual Card, all other services will stay available. For customers who do at lot of online shopping, the ecoVirtualcard provides a high security level and is a good and safe choice, even if it comes with a small fee for each card. However, you cannot withdraw money at an ATM or use this card for any offline payment. You also have a small spending limit compared to the physical ecoCard. So if you want to spend money and be as flexible as possible, you should order the physical ecoPayz ecoCard as well. After all, it is free and comes with no additional costs or obligations. If you have any questions about the ecoPayz ecoCard, please do not hesitate to contact us .